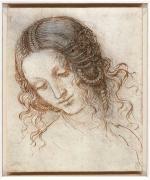 To celebrate the Queen's Diamond Jubilee, the McManus: Dundee's Art Gallery and Museum is showing ten of the Royal Collection's finest Leonardo da Vinci drawings. In these remarkable works the visitor can witness the remarkable breadth of Leonardo's interests - ranging from hydraulics and engineering to anatomy and map making - and his use of different media - pen and ink, red and black chalks, and metal-point. The McManus is the only venue in Scotland for this exhibition. Venue The McManus - Dundee's Art Gallery and Museum Admission is free.